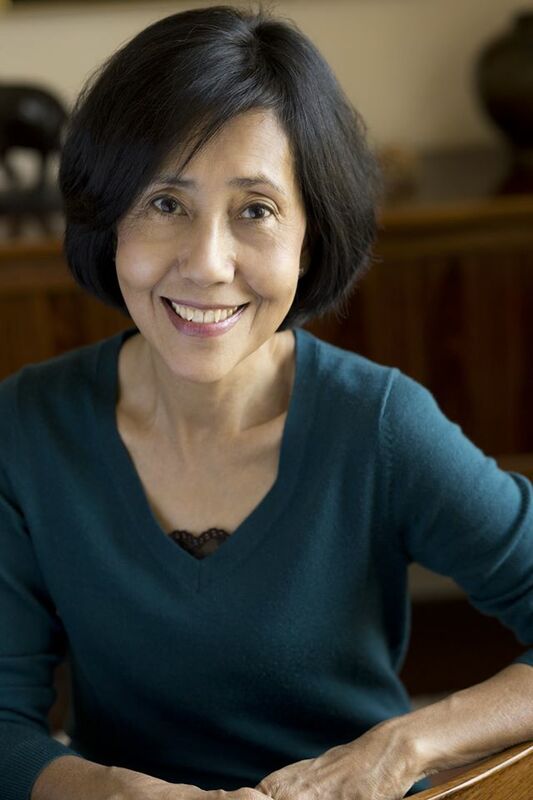 Wendy Law-Yone is a Myanmar-born American writer who penned the critically acclaimed The Coffin Tree, The Road to Wanting, Irrawaddy Tango and Golden Parasol: A Daughter’s Memoir of Burma. Her works were banned in her native country until strict censorship laws were abolished in 2012. She discusses her ambivalence towards the issue of piracy and the steps she’s taking to prevent it. As the author of a number of works which have been pirated on a mass scale in Myanmar, how has this affected you, both personally and as well as in terms of lost revenue? The first time I came across a pirated copy of one of my books was last year, in a bookshop tucked away deep in a Lashio market. I thought at first I was looking at the UK paperback edition of Golden Parasol. Burmese pirated publications are that good. But when I realised what it was, I thought I’d register my awareness of the infringement with the bookstore owner. I was expecting, I suppose, sheepishness at selling pirated copies of my book. Far from it. The proprietor suggested I should be flattered, because only books that were likely to sell well got pirated. So of course I was flattered. In Burma, literary piracy is a complicated matter and a special case that can only leave an author ambivalent on the subject. Decades of censorship have deprived the Burmese reading public of books and information in ways that we who live in the West can’t begin to imagine. If it hadn’t been for pirated books, there would have been precious little for the Burmese to read – and by extension to write about. So to denounce piracy in a totalitarian state is to declare, in a sense, a prohibition on books. Then too there is the frisson for a writer like myself – long banned in Burma – on discovering that my books have been deemed worthy of underground printings. One can’t help being moved that people have taken risks to distribute one’s writings in a hostile, threatening world of total government monopoly and censorship. Things are changing now of course, and the arguments in favour of copyright laws in a literate society will inevitably find a foothold among an increasingly enlightened reading public. But I’ll forever consider it a badge of honour to have had my books pirated when they would otherwise have been altogether unread in Burma. As to lost revenue, I’d have more cause for concern if I were a writer living in Burma and dependent on royalties for part of my livelihood. As I live abroad, and am published abroad as well, I have the privilege of tapping sources of income not available to my Burmese counterparts. The memoir about your father titled Golden Parasol, who was a politician, journalist and political prisoner, was published in 2013 and on March 14 became the first of your books to be translated into the Myanmar language. I understand you took unprecedented steps to protect the Myanmar language version from being pirated – please could you elaborate on this? There is no copyright law in Burma to date, as you know. But my publisher, Myay Hmone Lwin, was the clever one. He did two things to establish his bona fides as my Burmese publisher. As soon as we agreed on the terms of a contract, he placed a notice in the press announcing sole ownership to the translation and publishing rights for the book. Then, when the book was printed, he took the equally unprecedented step of adding a copyright page. These protective measures don’t of course carry the weight of law, but it’s a start in steering the publishing industry toward safeguards like intellectual property and copyright laws. Also, it somewhat reduces the chances of multiple rogue translations of a same work – a problem besetting many best-selling books on the market. As a writer himself – as well being a publisher – I think Myay Hmone Lwin is keenly aware of the importance of copyright protection to the future of Burmese literature. There is a shortage of high quality translators in Myanmar, due to English only recently being re-instated in the school curriculum. Did it take some time for you to find the right translator for Golden Parasol? The problem of translation is related of course to the problem of piracy: both are legacies of sustained and severe censorship, with its ruinous effects on education, literacy, aesthetics, and the life of the mind in general. Being well aware of the paucity of good translators in Burma, I left it in my publisher’s hands to find the right translator for the book. One simply cannot expect too rigorous standards of fluency, or even fidelity to the original, in a society so compromised by years of repression and deprivation. During the launch of the Myanmar version of Golden Parasol, you said you chose to publish it first because it speaks the most directly to a Myanmar audience. Nevertheless, do you have plans for your other books to be translated, such as The Road to Wanting? The Road to Wanting is indeed my next book slated for publication, which pleases me no end. In some ways, the novel speaks even more directly to a Burmese audience, I feel, than my memoir. This time I actually have a hand in choosing the translator, and although it’s too early to tell, I may have found just the right one for this book. Did you delay the translation of your earlier works dating back to the early 1980s due to strict censorship laws in Myanmar? No, not at all. For most of my writing life, it was simply unthinkable to imagine any book of mine being translated into Burmese – especially my second novel, Irrawaddy Tango, which is clearly set in the Ne Win era. For a long time I wasn’t even aware that pirated copies of my novels existed. Now that the tide has turned, one forgets what it was like back in those desolate days. It was mere chance that Golden Parasol was published in the UK just as the country began to open up, allowing for my first Burmese translation. Yes, Jess, thank you so much. I am in contact now with Wendy. Love and appreciate your blog! This post was very timely and helpful. My non-profit, Educational Empowerment, just received approval from Malala Foundation to translate and publish “I Am Malala” in Myanmar. I would love to speak to Wendy Yaw-Lone to obtain her input on this project.